If I like the Iced Mango Tea (which I do), I think like this Peach Tea even more. Talk about refreshment on a hot day! The trick I learned since starting to play with fruity tea recipes is that it works best if we add just a tiny bit of honey or sugar to the fruit and water while we bring it to a boil. This brings out the natural sweetness and great flavor of the fruit. I wondered if this might make the tea too sweet for my liking (I’m an unsweet tea girl). But I find it to be just right. 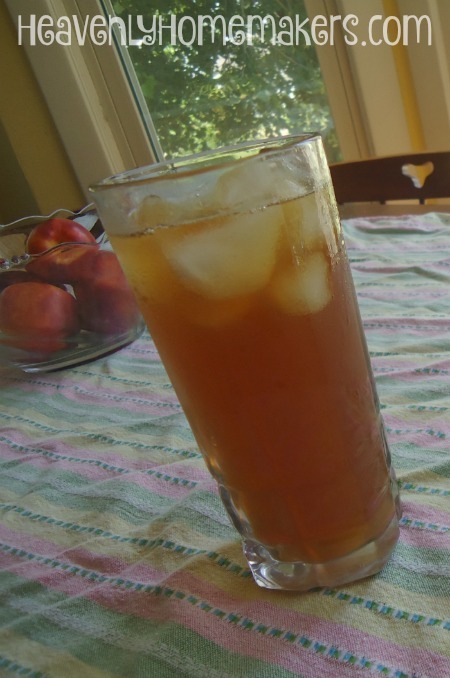 On the other hand, my husband (who likes sweet tea), doesn’t mind drinking this tea as-is, without any added sugar beyond the tiny bit of honey I add to the fruit during the boiling process. Experiment with this and see if you can also cut down on the sugar by letting the fruit do the job naturally! In a medium-sized pot, heat 1 quart of water and the peaches to boiling. Add a teaspoon of sugar or honey if you like. This will help make a "peach syrup." Mush the peaches in the water and add the tea bags. 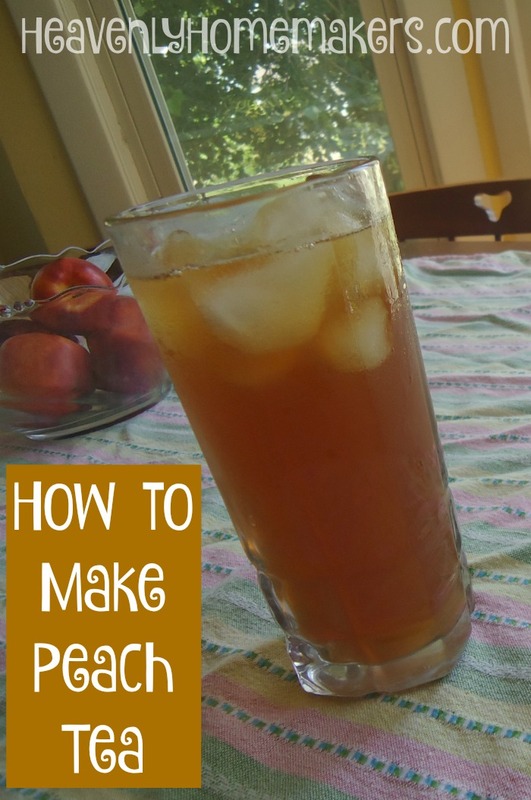 Be sure to also try the Mango Sweet (or Unsweet) Tea along with this Peach Tea. See which you like best. Up next, Raspberry Sweet (or Unsweet) Tea! I’ve been adding a tiny bit of honey to ours as well. We’re an unsweetened tea family, but it helps balance the flavors. I was planning to make peach next. I’ve been using frozen fruit, though. Fresh produce costs a fortune in Alaska, so on the rare occasion we find good peaches, we save those for eating! Laura, I also want to thank you for your blog. I read religiously each post I get in my email. We started homeschooling last year and my kids LOVE the activity packets you put together. I just wanted to say thank you for your humor and for giving me a laugh, even in those dark February days when every homeschooler is wondering if there's a light at the end of the tunnel!